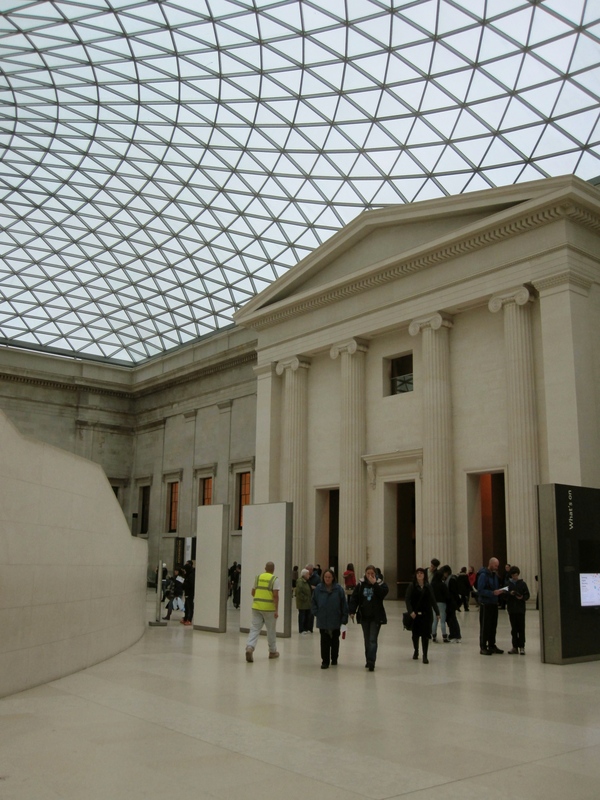 British Museum: From Aztec to Assyrian, Babylonian to Byzantine, Victorian to Viking, this museum’s vast permanent collection includes over eight million arts and artefacts from all seven continents. Always obsessed with archeology, my kids made a beeline for the Rosetta Stone (the key to deciphering the hieroglyphics) and the Elgin Marbles (having visited their original home at the Parthenon, Athens). The 19th century, dramatic, Greek-revival style building had a modern, awe-inspiring re-design of its interior courtyard. The courtyard’s magnificent glass and steel roof brings the outdoors in – even on overcast days it’s bright inside. Go on a scavenger hunt to find real-life objects featured in the recent flick, Night at the Museum: Secret of the Tomb (filmed on location at the museum). Your youngster can even explore the museum after dark and spend their own “night at the museum” at one of the hosted sleepovers. 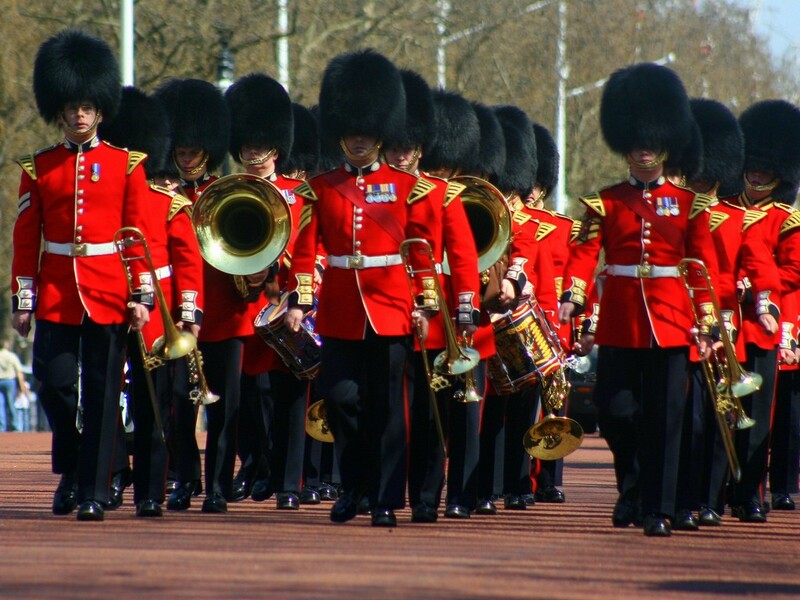 Changing the Guard: The height of British tradition, this ritual takes place at Buckingham Palace every day at 11:30am from April through July, and on alternate days the rest of the year. (Check the website for exact dates.) The guards have watched over the palace since 1660 and the ceremony occurs when one regiment takes over from another. For more insight on all the pomp and pageantry, download the official “Changing the Guard Royal Collection App.” Or view at other lesser-known London locations (Horse Guards Arch and Horse Guards Parade). Churchill War Rooms: Discover the original wartime bunker that sheltered Churchill and his government during the WWII Blitz. The self-guided tour reveals intense stories of those who worked underground as London was being bombed from above. The life and legacy of Winston Churchill is laid out in the interactive Churchill Museum, giving you a glimpse of what life was like during these very tense days from his rousing wartime speeches to his personal letters to his wife, Clementine. The Map Room (the nerve center where military personnel collected and verified vital geographic information) remains exactly as it was left the night the lights were extinguished in 1945. Imperial War Museum-IWM: This unique museum’s exhibits tell the story of how everyday individual lives have been permanently affected by war from WWI to present day. See how ordinary Londoners lived through WWII, coping with rationing and evacuation, from the London Blitz to VE Day. Explore insightful displays featuring the undercover world of espionage, covert operations, and the secret missions of the British Special Forces. The museum gift shop has an excellent bookstore with non-fiction and historical fiction for children and adults of all ages. National Portrait Gallery: This impressive collection of portraits of historically famous and important Brits who have shaped England’s history includes photographs, caricatures, paintings, drawings, and sculpture from the Middle Ages to present day. The Tudor and Elizabethan galleries served as the perfect history lesson for my middle-schooler. The museum is not just kings and queens though – check out the 20th century gallery for portraits of David Beckham, Kate Moss, Paul McCartney, and the much-critiqued painting of Princess Kate. 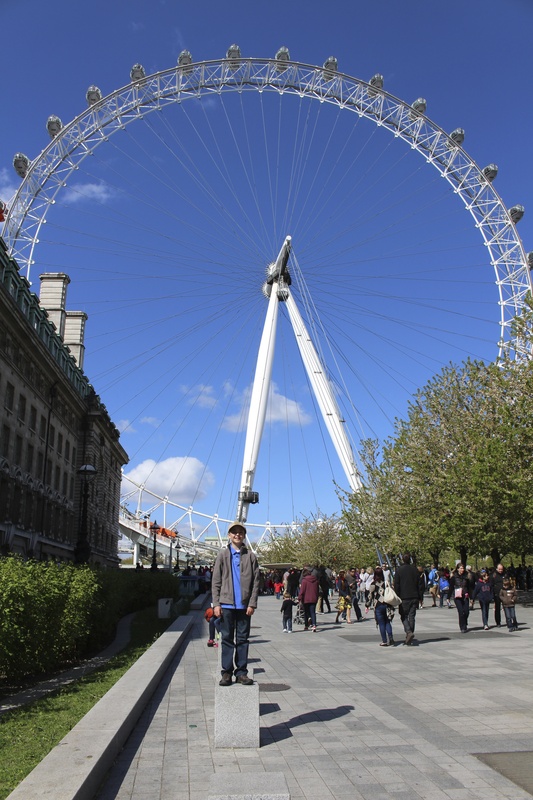 London Eye: When this giant Ferris wheel went up in 1999 on the River Thames’ South Bank, it was the world’s tallest. (Las Vegas’s High Roller has since taken that top spot.) Still Europe’s tallest, the Eye offers the highest vantage point and spectacular 360 degree views over London. Take a ride in one of 32 glass-enclosed, spacious passenger pods (they hold up to 25 people) and walk freely around the capsule while it completes its 30-minute rotation. Have a special occasion coming up? Reserve a private capsule complete with champagne and chocolates! Royal Parks: Yes, the sun does shine in London, so take advantage of the city’s eight sprawling Royal Parks, including St. James Park, home to Horse Guards Parade and the annual Trooping the Color, marking the Queen’s official birthday. Wander through Hyde Park and check out Speakers Corner (for weekly Sunday morning spirited public debates), The Serpentine (for peddle boating), and the Princess Diana Memorial Fountain. Tower of London: There is a lot of ground to cover at this most famous fortress and UNESCO site that has also served as the royal palace, an armory, and the prison where the infamous Anne Boleyn was beheaded. Beat the crowds and make your first stop the Crown Jewels exhibit. This royal collection, still in use today by the Queen for coronation and national ceremonies, includes the Sovereign’s Scepter with its 530.2 carat diamond, the “Great Star of Africa,” the largest colorless cut diamond in the world. Next, check out the White Tower with its impressive arms and armor display. Join a 60-minute Yeoman Warder Tour, led by one of the iconic, red and gold-uniformed guards (also known as Beefeaters) or a Wall Walk, for a journey along the huge stone encirclement that forms the Tower’s walls. Make sure to book early to witness the Ceremony of the Keys, the ancient 700-year old ceremony – the nightly locking up of the Tower. West End Theatre: Although the West End refers to the area of Central London filled with major attractions, shopping, and entertainment, it’s best known for its theatre scene. On par with New York’s Broadway, the West End presents some of the best theatre in the world. Although West End Theatre generally refers to commercial productions, there are also many non-commercial venues with great artistic prestige, and a number of “fringe” theatres (equivalent to Off-Broadway) that provide alternative entertainment and hidden treasures. Check TimeOut London for complete theatre listings and for same-day discount tickets, visit the TKTS booth located in Leicester Square. Westminster Abbey: This gothic-style building is one of the world’s great churches, with a history stretching back over 1,000 years. Home to coronations, royal weddings (William and Kate’s), burials and memorials, the abbey has commemorated kings and queens, statesmen and soldiers, poets and priests – it’s a venerable parade of British history. Audio guides are available or take the popular verger-led tour. It meets at the North Door, lasts approximately 90 minutes, and includes a visit to the Shrine (containing the tomb of Saint Edward the Confessor), the Royal Tombs, Poets’ Corner, the Cloisters and the Nave. Daily worship services are open to the public – check the website for schedules of beautiful (and free) choral concerts and organ recitals. Please read my other recent London articles: 22 Top Shops, 18 Favorite Places to Eat, and Hampshire: Edu-vacation in England’s Countryside. SUBSCRIBERS: to view this complete article online and read my previous articles, use this link: uniquefamilytraveler.com. To become a SUBSCRIBER, enter your email address (top, right hand side of the blog or scroll towards the bottom if using a cell phone) and then respond to the follow-up email. This entry was posted in England, London, United Kingdom and tagged british museum, churchill war rooms, England, London, london eye, london with kids, top sites. Bookmark the permalink.